In late September, I wrote about two positive stories that popped up regarding Channing Tatum and Jenna Dewan’s divorce, predicting that they would both start dating publicly very soon and the stories were laying the groundwork for that. It has happened – Channing has been spotted with Jessie J and Jenna is reportedly dating someone as well. Nothing scandalous, which is just how they wanted it. There was a strategy to this and what made it work is that they both stuck to the narrative. Kevin Hart wants you to clarify that the little jersey is for his son, and the big boy jersey is for him. I bought an inexpensive beauty roller and it’s meh, but I do think a more expensive one would work better because of the weight. I would try an MDNA skin roller but I will never, ever understand the marketing plan for this brand. It’s too lame to be clever or satirical and even if it were, satire doesn’t fit with skin care. Does anyone use MDNA products? If you do, hit me up with your review. Sting and Shaggy played at Harrah’s Resort, and Goldie Hawn, Melanie Griffith, and Trudy Styler hung out. Did they hit the quarter slots after the show? Goldie seems like she’d be really fun to gamble with because she’s an enthusiastic person. A participator. She would hoot and holler for a $20 pot. This campaign was filmed in the summer in Vancouver, which is quite obvious to people who live here. There’s no snow on the mountains. It looks like summer and she’s in a puffa. 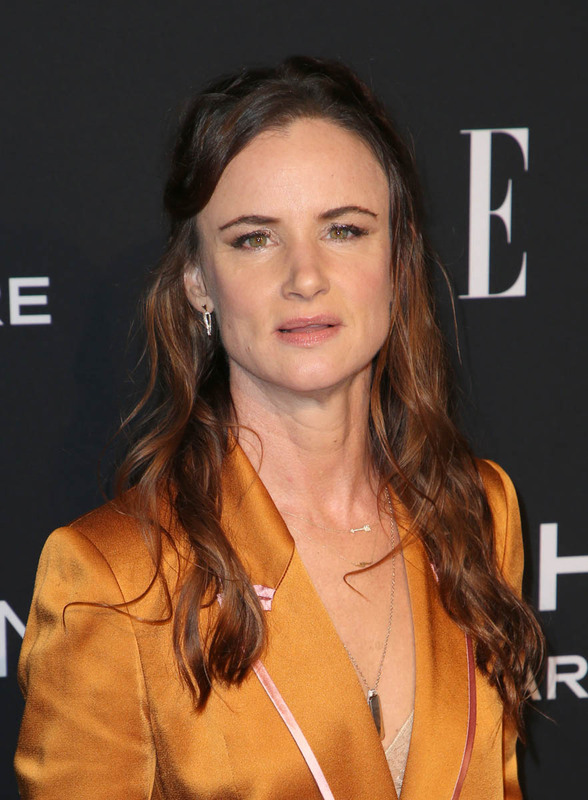 The reviews for Camping have been lukewarm, but for two performances -- Juliette Lewis and Jennifer Garner. What I’m excited about is Juliette’s suit – it’s really great, right? And it’s not wrinkled, a miracle for this fabric. Marigold is a very underutilized red carpet colour. Chris Pratt’s photo credit is an adorable Parks & Rec deep cut.